The Mini Seaton's sleek lines and streamlined silhouette are sized down from Mulberry's iconic 'Seaton' style. Its petite size makes it ideal for a day-evening bag or to pack away for a trip. 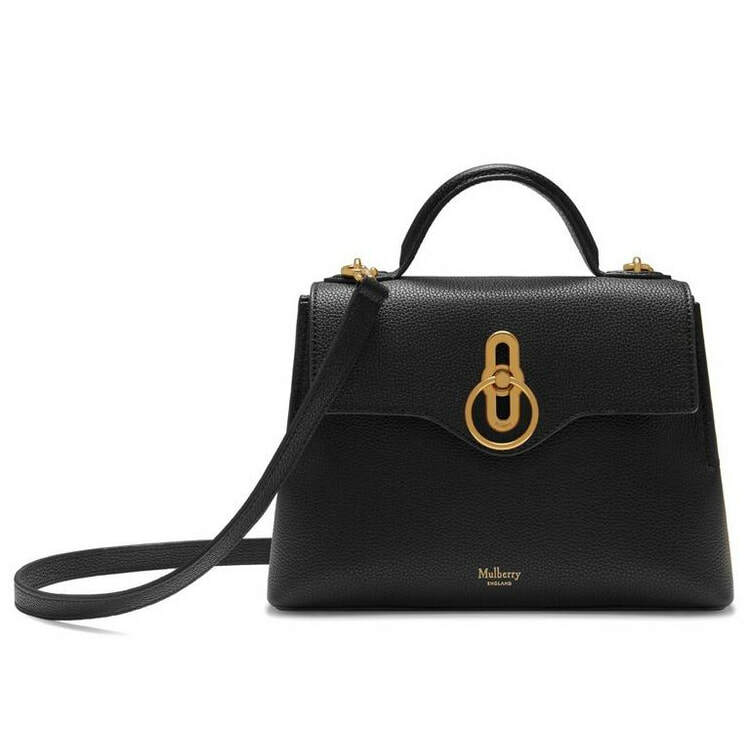 Featuring equestrian-inspired detailing such as raw-edged construction and the signature Rider's Lock, the Mini Seaton can be worn on its adjustable shoulder strap or carried by its neat top handle. STYLE FILE: Mulberry Mini Seaton Bag in Black Grain Leather as seen on Kate Middleton, The Duchess of Cambridge.